The 5th Wave by Rick Yancey. Grades 8 and up. Putnam Juvenile, May 2013. 457 pages. Review copy purchased. The first wave was an electromagnetic pulse that knocked out all the electronics and engines on the planet. No one knew that about the Others before that. The second and third waves killed billions. The fourth wave was slower, more deliberate. The aliens look like us now. And there's no knowing who we can trust. Cassie is alone. She might be the last human left. But she made a promise. And she'll risk everything to keep it. Guys, this book is AMAZING. Rick Yancey is a master at building suspense and there are plot twists around every corner, so everything is changing constantly. You think you have it figured out and then YOU DON'T. Even though it's a huge, thick book, the pages went quickly because I just couldn't put it down. It's scary if you really think about what's happening because it's all so very plausible. One day humanity was doing its thing and then suddenly aliens came and killed pretty much everyone. The survivors had to figure out what to do next. So, yes, it's scary, but I would call it a thriller rather than a horror novel. There's plenty of violence and the characters have to make some really psychologically demanding decisions. And again: you never know who you can trust. This is a great choice for fans of The Hunger Games for the survival aspect and the tough moral choices the characters have to make. While both books have plenty of violence, I think that The 5th Wave hits a little closer to home since their world is closer to our current world. I'd also try it on fans of Ender's Game, both for the people-fighting-aliens plot line and the kid soldiers plot line. The aliens of Ender's Game are also similar to the aliens in The 5th Wave for the utter destruction they have planned for the Earth (and also for some spoilery reasons). 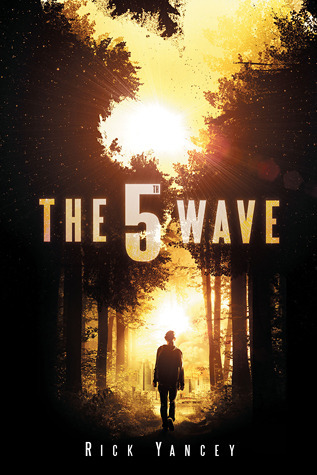 Keep The 5th Wave in mind as a readalike when the Ender's Game movie comes out. The 5th Wave is on shelves now!